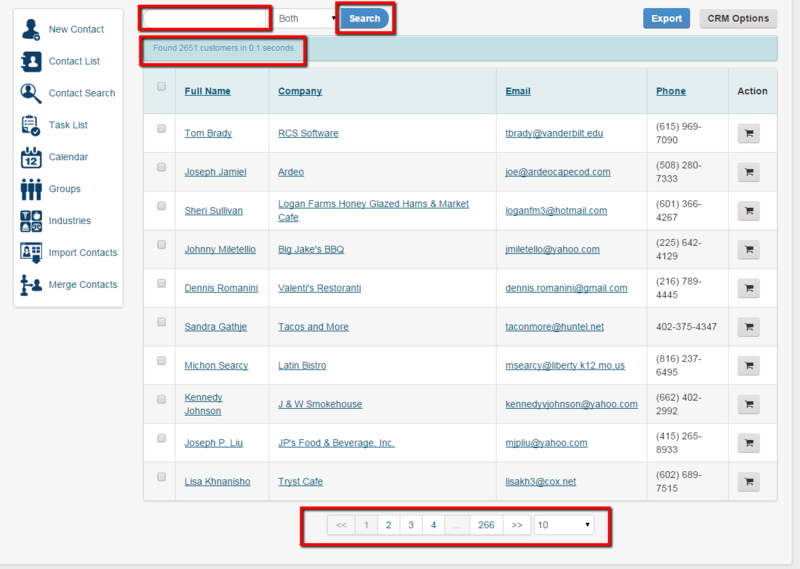 This article will go over how to look up an existing client, company or prospect in your CRM tab. 1. First click on the CRM tab and then look for the Search Bar. 2. 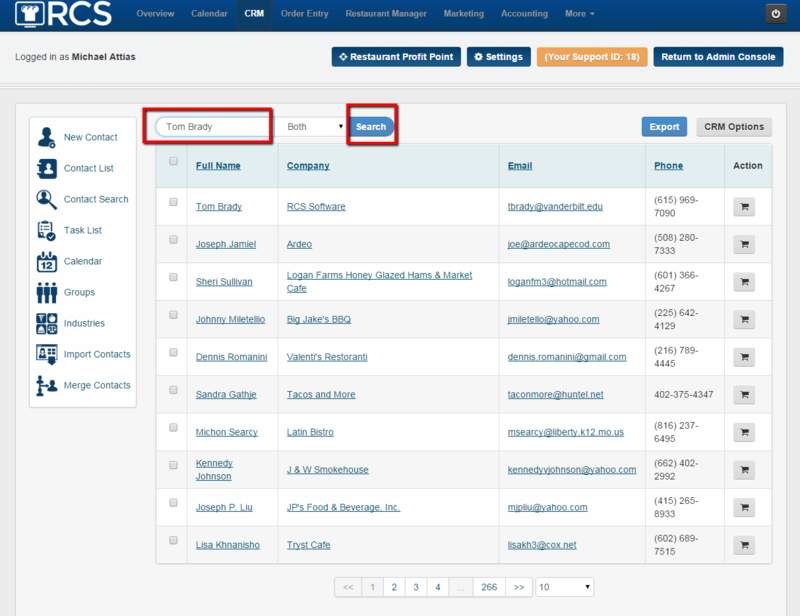 Next you will type in the name of the client, company or prospect you are wanting to lookup in the Search Bar. 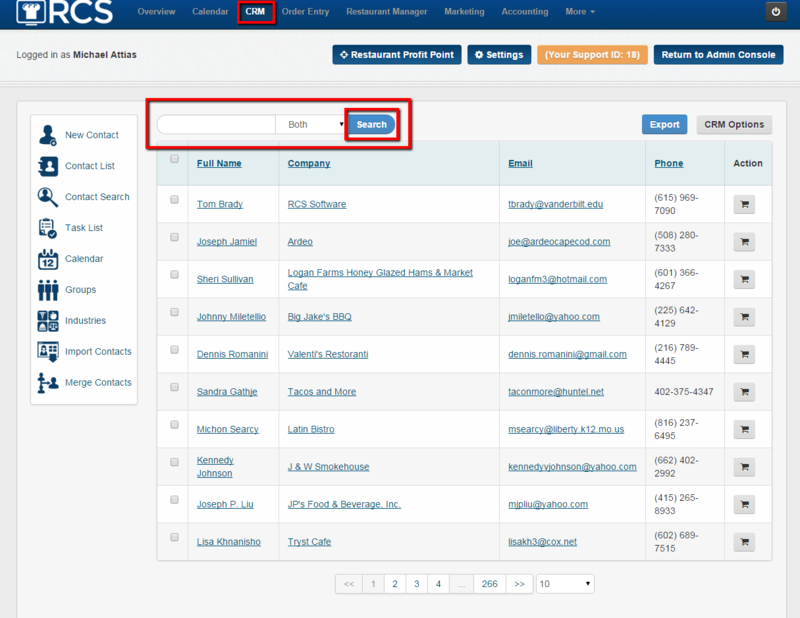 The search bar will search first names, last names, companies and emails. Once done typing in click on the Search button. 3. The system will then pull up any records that match the information you typed in. Please note the total number of records that match the information you typed in will be found in the Blue Bar. 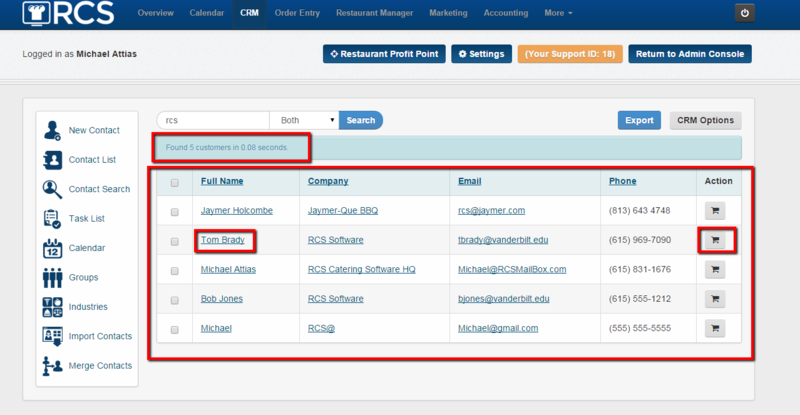 To view the clients CRM tab click on the Clients Name that is a link. To start an order for the client click on the Shopping Cart icon found under the Action column. 4. To see your entire database, leave the search bar Blank and press Search. The total number of contacts will appear in the Blue Bar. At the bottom you can see the number of pages you have for database search. You can also view the more clients on a page by clicking the Drop Down Box and choosing between 10, 25, 50, 100 and 250. 5. You have now successfully looked up current client, company or prospect. If the client, company or prospect you are looking for does not appear in your list then please see the article on How to Add a New Contact.